& Ideas For Your Business? 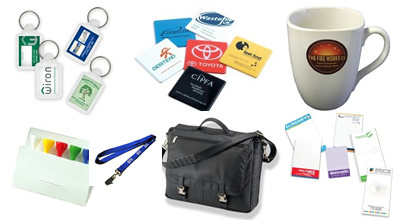 Did you know that promotional gifts are considered for many businesses the secret silent sales force? They are especially effective if you’re looking for new ways to: increase sales, build brand awareness, say a big thank you, reward customer loyalty, personal referrals, get across a message, promote a helpline phone number or you simply want to promote a new business or raise the profile of an existing one! Promotional gifts can offer you a very powerful and creative way to get your message in front of 100’s if not 1000’s of potential customers. If you pick the right product or combination of products they, can be working for you 24hrs a day, 365 days a year! Imagine for a few seconds if you will, somebody sipping on their daily cup of coffee (from a smart china or ceramic promotional cup or mug you gave them) something they love and consume daily. Marketing Message on a regular basis. However it doesn’t stop there, others too, will be exposed to your promotional messages. 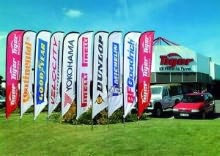 So, in other words deploying these kinds of products to your target market is like having your own personal mini bill board ad, sales person or friend working on your behalf, who is constantly and tirelessly promoting your business. See how it starts to get interesting and more importantly how promotional products can really help grow, expand and give your business or organisation the boost it needs. 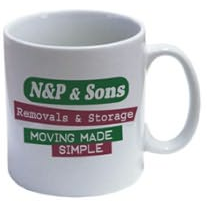 If this is all new to you, don’t worry as we have many years of experience between us, in all major business sectors and can help guide you in finding the best ideas, promotional gifts and promotional range. Our knowledge and expertise are at your disposal on this website, so why not ask us a question, find out more about us or just explore the rest of the site further. We hope that you enjoy using this website and find it valuable. Our aim is to fastrack your knowledge about promotional products, helping you to make a well informed choice about the most fitting and effective products to use, to bring you maximum return on your outlay. We also very much welcome your input and feedback. Whether you have had only a once off experience with promotional gifts/products or are already a regular user or buyer, we would love to hear about your stories, where, when and how you used the products and the results achieved.